Elegant background music to enhance the ambience. Jazz-influenced instrumentals. I play songs people recognize at a volume to enjoy, but not so loud that it interferes with conversation. Dave is a wonderful guitarist! Thank you for blessing us with your talent!! Dave Hirschman was perfect for our party. He played beautiful, contemporary music and our guests loved him because they could actually carry on conversation and still hear lovely background music as they did. Absolutely perfect for the occasion! We hired Dave to play our parents’ 50th anniversary dinner and we couldn’t have been happier. Dave was professional and unobtrusive and his style and repetoire were perfect for the occasion. Dave and his guitar added just the elegant touch we were looking for and our parents and all our guests were thrilled. He also stayed in communication with us in the days leading up to the event and answered all our questions promptly. I can’t recommend Dave more highly and would definitely hire him again! Dave was so great to work with and we can't wait to hire him again! Added a special dimension to our wedding celebration! enhanced the ambiance at the restaurant for our daughter’s wedding dinner. He was very personable, seemed to ‘read’ the room and played to suit the mood. We are more than pleased with Dave’s performance and would certainly book his services n the future. David was early and setup. He began to play and was perfect. It was exactly how I imagined it would be and I that him and GigSakad for that. Dave was perfect for our recent event. He knew what songs to play for the crowd, where to position himself for the best sound, etc. We'd definitely recommend him! Dave is a true professional. He performed beautifully for our party and was delightful. I highly recommend Dave Hirschman. Dave was the perfect choice for my sister's wedding. I was in charge of the 25th anniversary of the planting of a Silver Linden Tree at the Thomas Paine Cottage in New Rochelle, NY. I hired David Hirschman to play guitar for the celebration. He was an expert. He played four songs one of which was our national anthem. He did a superb job on all four songs. His arrangement were fabulous. He added much professional and creativity to a wonderful event. I think he was one of the highlights of the celebration. I would recommend him highly. He is efficient, caring and of course, very talented. Thank you, Dave for a exemplary performance. Don Tedesco - coordinator of the event. Dave went out of his way to make sure every detail was covered. The music was superb, he even learned one of our favorites just for the event. Couldn't have been more pleased! My wife and I are both accomplished musicians. She attended Juliard, and I The Los Angeles Music and Art School. That said. We both enjoyed Dave's performance. His talent and skills were very apparent and most impressive. Furthermore, his presentation was a fit for what I expected. On a logistical note, Dave was timely, professional and maintained correspondence throughout our preparation. I most certainly will recommend him for future events. My son and future daughter in law held their rehearsal dinner at the Water Club in NYC. We wanted to have a guitar playing soft background music on the outside deck of the restaurant during cocktail hour before we had dinner inside. I searched Gigsalad for a guitarist and found Dave Hirschman. Dave communicated well during the entire booking and event process, He arrived well in advance of our 150 guests and his music was perfect for the evening. I highly recommend Dave for your event. Couldn't have been better! Dave is the man. I was able to book Dave, at the last minute, for a Thanksgiving weekend elopement in Central Park at the ladies pavilion. I have to say I was blown away with the way he, and Susan the violinist, were able to put together the musical touches for an amazing day. Dave responded quickly to my request for a quote, and in the spirit of collaboration we were able to put together a surprise for my bride to be...who was not expecting music at the ceremony. She was blown away! Dave stayed in touch throughout the process, and even allowed a last minute change to the processional music to something a bit more contemporary ...that in my opinion was way above and beyond what I could have reseasonably expected. He was able to quickly comfort a stressed groom, me, and delivered as promised. All this before I even mention the core of what Dave is, a very talented musician and friendly guy. He fit right into the ceremony effortlessly, with no rehearsal. I would recommend him always, and am glad to have made his acquaintance. Thanks Dave, you made me some major points with my bride! I hope to work with you again. We have a great experience using Dave at our most recent event. He was very communicative throughout the entire process, which made everything easy. They were on time and very professional. The music played was a fantastic addition to the evening. We would use him again in the future. Dave and his guys were great! They provided a smooth background for a great party. Everyone recognized his choices. Great Addition to our ceremony! Dave was a pleasure to work with right from the start. He was quick to respond which made things move along smoothly (any planning bride knows the importance of this!). He learned our requested songs and played them beautifully! He was on time and looked great. I would recommend Dave to anyone looking to add beauty to their ceremony, and I am sure would be a great addition to any cocktail hour or other event. Thanks so much Dave, you helped to make our event a truly memorable day!!! We received many nice compliments on Dave's performance. He was a true professional from start to finish - plan to use him again. Love the Gigsalad site too! I should start by saying that I don’t usually write reviews, but in this case I was inspired to recommend Dave and his fellow musicians. They performed at our wedding and we couldn’t be happier with our decision! Dave was extremely professional. He communicated promptly and clearly with us both by e-mail and by phone. When our original venue closed unexpectedly, Dave was kind and flexible with last minute changes. For the ceremony we had an acoustic guitarist and he was lovely. We sent him links to the songs we wanted, since a particular song can have many versions, and he played exactly as we had hoped! Also we did not have access to electrical outlets in this ceremony location and he was able to bring battery powered amplification, which worked out great. All of the musicians were punctual and Dave communicated with our venue to clarify any necessary hookup needs beforehand. After the ceremony, we had a brunch wedding reception in Manhattan. We chose a 3 person group: lead guitar, upright bass and drums. We chose for the band to begin with jazz instrumental, then they played some rock and Motown to get the party going! All of our guests were on the dance floor and raving about the band, even my 80 year old grandmother! Dave and his crew went above and beyond what we had hoped for. When researching for a jazz band, many were priced much higher than Dave. The entertainment he provided was definitely a great deal and I would be happy to pay much more! The band was able to read the vibe of the crowd and go with it! My best friend sang our wedding song and the band played along perfectly with her vocals, even though they had never practiced it before. The band just had a great easy going way about them and made sure everyone was happy and having fun. They allowed for personal touches on a whim, such as our 8 year old nephew getting on the drums, and our cousin getting on the mic for “Rapper’s Delight.” We would definitely recommend The Dave Hirschman Band to everyone out there and would not hesitate to book him in the future. They are an extremely talented bunch and are able to play many different styles of music for varied styles of events. Dave and his fellow musicians really made our wedding a memorable one! I had a 70th birthday dinner party where Dave played his guitar and was accompanied by a bass. We wanted background music to set the mood. The music was appreciated by all and not once interfered with conversations. One guest got up spontaneously twice to sing ...which added another dimension to the wonderful evening. Both musicians arrived at least an hour before the event and were ready to start when the guests arrived . Dave delivered everything he had promised. His music showcased his musical ability. Initially we were just using Dave. We asked if another instrument was necessary because the space was not huge but comfortable for 40people . Dave said it would work nicely, suggested the musician but he was also comfortable working alone. The two instruments were great ;we are glad we accepted the suggestion. I would not hesitate to use Dave again. The musicians enhanced a lovely night. My formula is simple: be punctual and deliver top quality musicianship, play songs people recognize at a volume that is loud enough for people to enjoy but not so loud that it interferes with conversation. My first record was Sinatra, a gift from my mother...he is always with me; I picked up the guitar after seeing the Beatles on Ed Sullivan, I never put it down. My repertoire spans jazz, classic rock, blues, R & B, classic country...I love it all. My set lists are constantly expanding and I welcome requests. I have been successfully playing private parties and events for over 30 years. 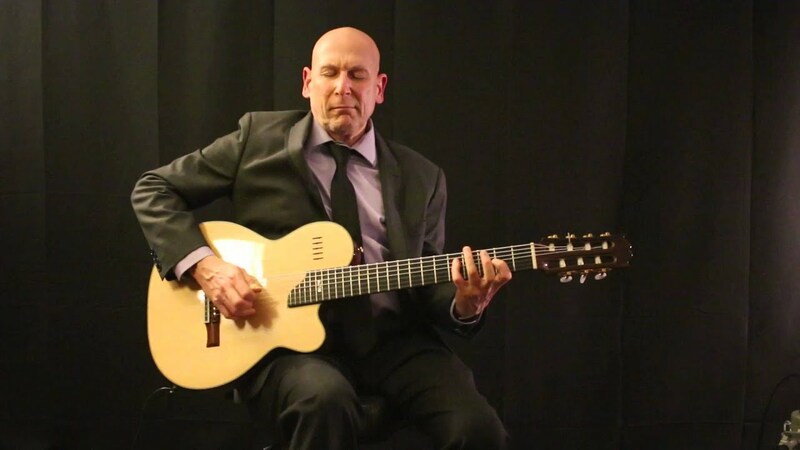 My career originated on the road with various rock bands, then expanded to traditional wedding bands; for more than a decade, I have been playing my style of jazz guitar either solo or with an ensemble from a duo to a 20 pc big band. Please read my client testimonials, my music will contribute to the overall success and atmosphere of your event. As a solo performer or a band leader, I can tailor the instrumentation in accordance with your preferences. The musicians I perform with are all accomplished, seasoned professionals, amongst the best New York City has to offer. Please watch my sampler video and listen to my audio samples on the media tab of this page and you can see and hear some of the possibilities. Let me just say that David's team was perfection from start to finish. I started my search with many bids but David's professionalism won us over. We spoke to him over the phone and he was able to play us something that he thought was what we liked and it sounded great even through speaker phone. I had 2 songs in mind for the aisle and David's team was able to find me a violinist and they all learned the songs and played it superbly on my big day. They were right on time and set up without interrupting me nor my husband. Everyone loved the music they played at the cocktail hour as well! Thank you David, it was our pleasure to have worked with such a great band!!! 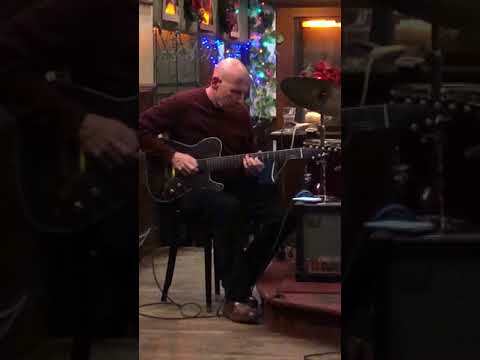 The Dave Hirshman Trio were fabulous. We booked them for 3 hours for a 50th birthday party. They arrived early and set up well ahead of the start time and were dressed in the manner agreed upon. We didn't give them any song requests and just asked them to play whatever they thought would work. They had people slow-dancing, swing dancing and begging for more. They played instrumental cover versions of songs people would know and allowed a guest who is a singer to join them for a couple of songs. The volume was just right so that people could talk as they ate and drank and chatted to friends. I will definitely be booking them again for any gathering I have. We could not have been more pleased to have the Dave Hirschman Trio play at our recent corporate function in Manhattan. They were completely professional, easy to work with, accommodating, and above all - talented! Our business guests loved them and we would not hesitate to book them again. Amazing! Friendly, professional,words cannot express my experience with dave and his band! If ever another occasion comes up he will definitely be called upon. Thank you again my day was amazing! Arrived on time, and began to play as requested, tunes from the American Songbook. Solo guitar added a quiet and yet welcoming moment to those coming in. After the service, there was more music as people circulated with drinks and food. 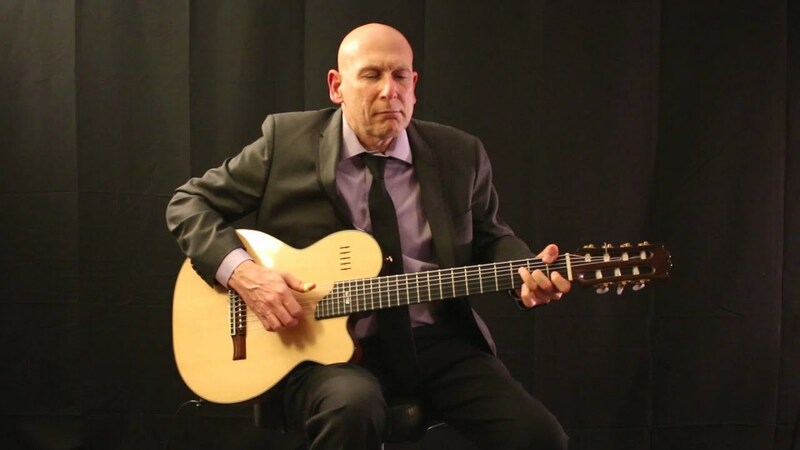 Dave's performance added to our event, and we would recommend him for solo guitar events in the future. 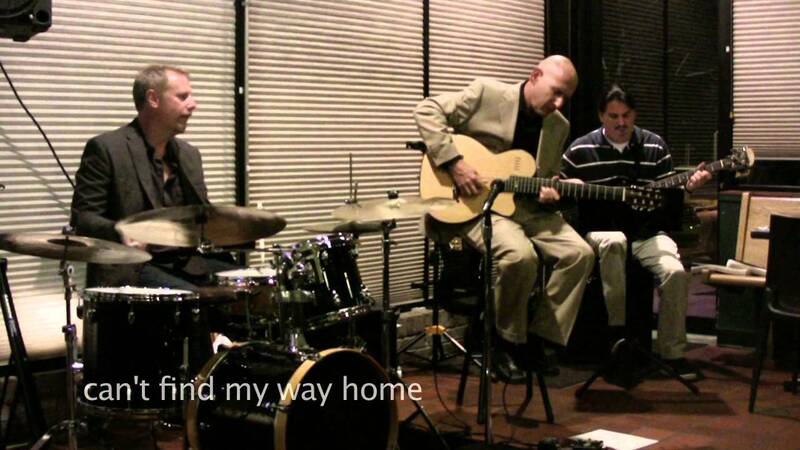 Hiring the Dave Hirschman Trio for our Grand Opening Event was a great success. Everyone of the 300 or more people attending the event commented on the music. Just a perfect selection of music, sound quality and volume. The guys played with real enthusiasm and it reflected in all of the positive feedback. I would certainly not hesitate to ask Dave to perform again at our Showroom events. Dave really contributed to us having a successful overall event.